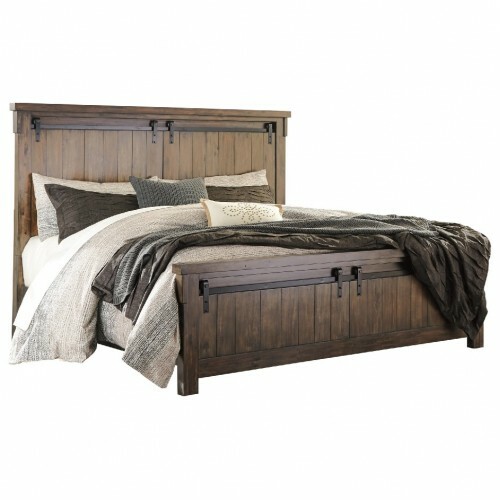 Plank look panels and faux barn door style hardware provide a modern farmhouse style design to this bed. Made from acacia veneer and hardwood solids, it offers clean lines with simple trim details. B718-57 Queen Panel Headboard 1 68" 3.75" 61"
B718-54 Queen Panel Footboard 1 68" 3.75" 26"
B718-96 Queen Panel Rails 1 63" 80.5" 14.75"